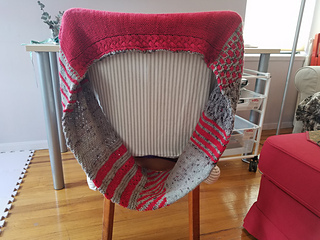 One Size - 10" by 63"
I’ve been obsessed with Margaret Atwood’s The Handmaid’s Tale ever since it was assigned reading in high school, so when the Hulu show started, I knew we needed a knitalong! 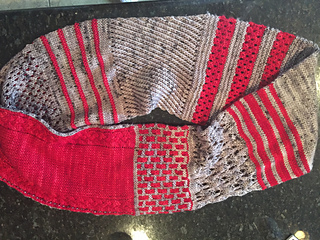 This pattern was originally released in 5 clues to knit along as you watched the show - hence, the different sections and their “stories”. 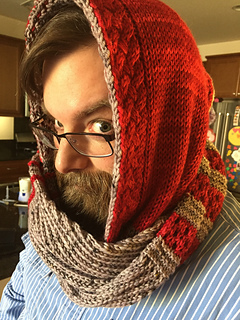 It’s a tubular cowl with multiple motifs to keep the work interesting (plus a “secret” hood! 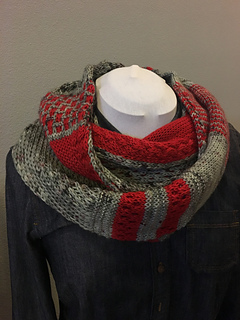 ), seamlessly joined at the end for a warm and very wearable winter accessory! Grab a Yarnmaid’s Tale Kit from Jimmy Beans Wool, featuring an exclusive new yarn base and mysterious, gorgeously hand-painted colors from the fabulous Lorna’s Laces, and get ready for a top-secret mission! Assignment: To bolster the resistance by freeing a valuable operative, Offred, who is captive. 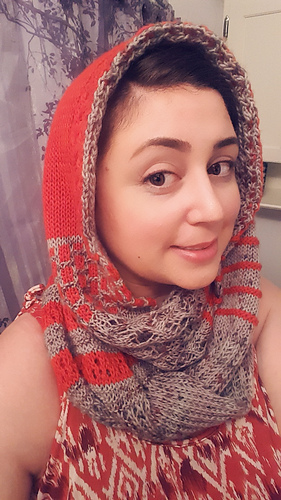 Your mission is to tell her story through knitting, while creating a uniquely constructed cowl (with a hidden secret!) to disguise and keep her warm as she escapes Gilead. Specifics: (Gauge) 4.5 sts to the inch, in stockinette stitch. Gauge is important to the size of the project, but you can use the first part of Clue 1 as your gauge swatch, if you prefer. If you do swatch ahead of time, use Color A. It’s best to err on the size of looser gauge – a too-tight gauge may cause your finished project to be too small. Please note: the Resistance yarn is on the thinner side of DK, so if you substitute a fuller DK-weight yarn, like Madelinetosh DK, you may need to go up to a size 9 needle. 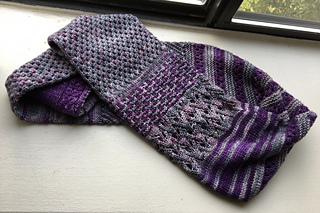 Your mission will be revealed in 5 clues, one each Wednesday, starting April 25th and ending May 23rd, delivered to a top-secret location (your Ravelry library). 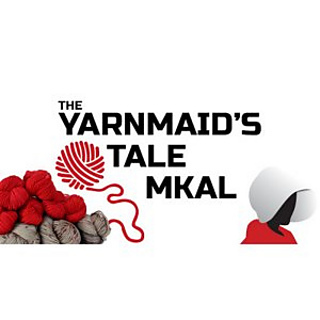 Join your fellow operatives on the Jimmy Beans Wool Pre-Event Chat Thread to plan your moves, then head over to the Yarnmaid MKAL Chat and Help groups for camaraderie and support once the event begins. This is a solidly intermediate pattern. Certain special techniques will be explained, and help from the designer and other knitters on the help thread will be available throughout (and after) the knitalong, but the pattern assumes knowledge of beginner skills (knitting, purling, increases, decreases). 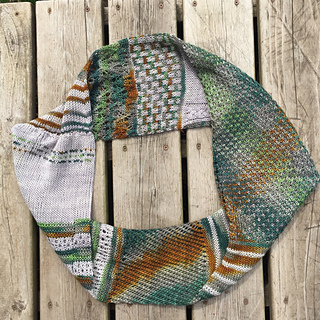 This pattern is still available in clues (for those wanting a step-by-step KAL experience) and as one document. If you want the all-in-one pattern, make sure your library is updated and scroll all the way down the list of documents to download the “complete” document. Thank you!